Somebody did this to a client’s doorknob with a pair of vice grips. This is a D series knob, the toughest Schlage ever made. It retails for over $400. Criminals know this, so you may as well know it too: Doorknobs can be defeated by somebody with a pair of vicegrips. If somebody takes a large pair of vicegrips and grips a doorknob really hard, it allows them to apply enough force to turn a locked knob. Usually knobs fail safe, meaning that the door will open. 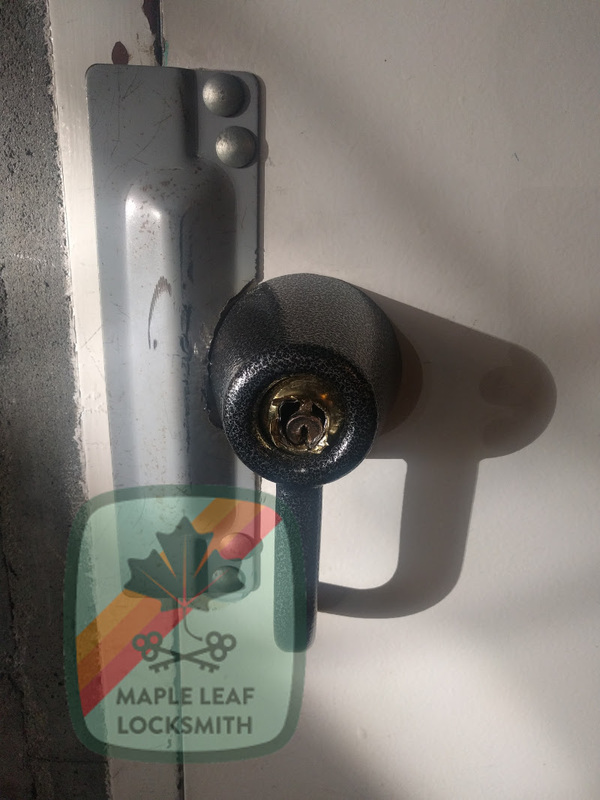 A deadbolt cannot so easily be overcome by vicegrips because the housing doesn’t rotate. Many of them are designed to allow the housing to freely rotate if enough torque is applied to them. This is a lock with a knob guard that stopped criminals in their tracks. They probably spent at least thirty minutes on this. Sometimes a deadbolt is not allowed on an exterior door because of fire safety or ADA laws. In this case, somebody with a pair of vicegrips can by stymied by a knob guard or shroud. This covers the knob in such a way that the knob cannot be attacked with brute force. Another possibility is to install a panic bar and rim cylinder on the door. These are flush with the door and also give nothing to wrench on for would-be intruders. 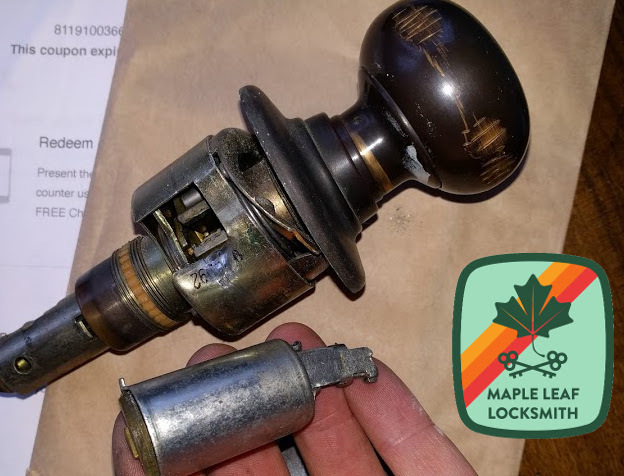 Sometimes when I go on walkthroughs in large buildings I see the telltale signs of wrench marks on doorknobs or a lever that has been forced and point them out to building management who have no idea the knob or lever has been forced open because their key still works in the lock. Take a walk through your building and see if any of your locks have these marks, especially on the exterior building. If so, consider asking me for a quote to replace the knob with another knob and a knob guard or a panic bar and rim cylinder. Next Next post: Locksmith Scams: be smart, don’t be a victim!